While Marvel’s grasp on popular culture now includes being firmly part of both movies and television, those two sides of Marvel Studios have thus far remained separate. However, since all roads of the MCU appear to be leading to the major Avengers: Infinity War movies, that would seem to be the perfect time to bring the television properties onto the big screen. If that happens, Krysten Ritter says that Jessica Jones will be there. That's an interesting question because I love Jessica and I love any opportunity to play her. Obviously, it'd be really exciting to be a part of those giant, huge movies with those great characters who are already established, so it'd be awesome. … It'd be awesome if I got to pop up somewhere else. There's always the chance that could happen. I don't really know, they don't tell me anything, so I'm totally stoked about the playground on Netflix. Both of the Netflix series that we’ve seen from Marvel to date, Daredevil and Jessica Jones, have been hits with both critics and fans. While we know we’re going to be seeing more of them on the streaming service, we also know that getting characters to cross between movies and TV is only slightly less complicated than the deal that brought Spider-Man into the MCU. 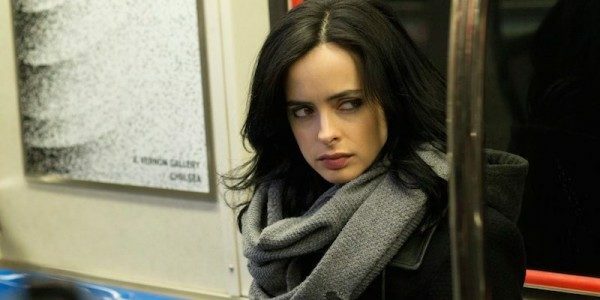 This has made it increasingly unlikely that Marvel’s TV characters will be appearing in the movies, however, the Russo Brothers have said they have upwards of 60 characters that could potentially be involved in Avengers: Infinity War and one has to assume that Jessica Jones is on that list someplace, even if she is near the bottom. The "crossover event" is a staple of the comic book industry, characters who generally inhabit their own space end up somewhere new to liven things up. As the MCU is already having all of their film characters work together on a regular basis, it would seem that bringing in characters from TV would be one way to really bring that special event status to something like Avengers: Infinity War. Jessica Jones is ready. How important is it to you to see Marvel’s movie and TV worlds collide? Would it simply be a nice added touch, or do you think it’s more important to the MCU’s long term success?